DELAWARE- Alice Mae (Smith) Laughrey, 86, passed away Saturday, Jan. 26, 2019 at her residence. She was born Aug. 5, 1932 in Mt. Vernon to the late George W. and Hazel (Senz) Smith. She was a 1953 graduate of Danville High School. In 1954, she married her husband, Earl H. Laughrey, who preceded her in death on March 16, 1979. Alice was a school board treasurer for 31 years in total, 21 with Danville Local Schools and 10 with Olentangy Local Schools, until her retirement in 1989. She worked five years for a Delaware doctor’s office, worked from 1997-2019 with Grady Memorial (now Ohio Health Home Care) and was also a hospice volunteer with them. 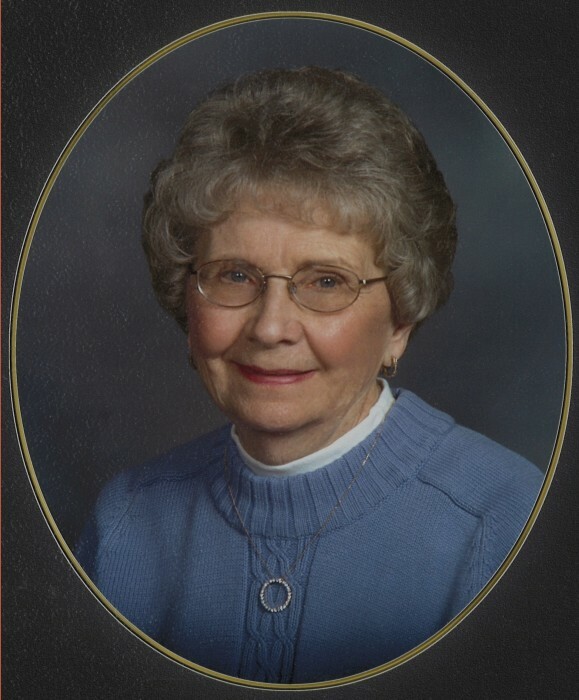 She was a longtime member of the Danville Church of Christ, where she taught Sunday School, sang in the choir, and volunteered in many areas of the church. She was a one-time member of Zion Christian Fellowship in Powell. Recently, she has been a member of Grace Point Community Church in Lewis Center, helping with toddler morning babysitting and volunteering where needed. Alice was a past Worthy Matron of the Ohio Eastern Star Kokosing Chapter #333, Danville. She is survived by two daughters, Kimberly (Scott) Davis of Howard, and Erlene (Greg) Breckler of Delaware; four grandchildren, Josh & Abbie Hinger, Kyle (Sandi) Laughrey, and Skylar Breckler; six great-grandchildren, Ayden Hinger, Cayden & Camberley Edmister, Ethan Hoeflich, and Xander & Zoey Laughrey; a sister, Pauline (Lonnie) Stull of Danville; and several nieces & nephews. In addition to her parents and husband, she was preceded in death by a son, Gregory Laughrey; and five sisters, Betty Kent, Lillian Landon, Ruth Graham, Doris Koteles, and Mildred Weber. Memorial donations may be made to Capital City Hospice, 2800 Corporate Exchange Dr. #170 Columbus, OH 43231.